Our Business core values are to ensure that every project is completed to the highest standard whilst using the safest work practises, maintaining a strong relationship with the client from start to finish. 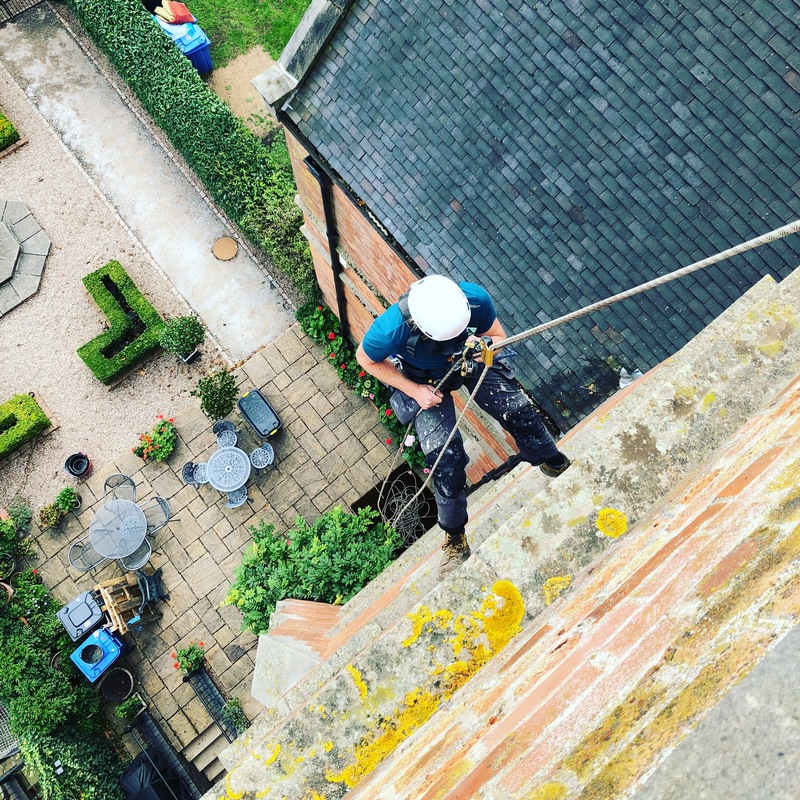 Our bread and butter, Rope Access industrial abseiling spawned from a heritage of climbing from a young age in the Peak District countryside ,combined with a love for building maintenance and construction. We pride ourselves on safe work practises no matter how big or small the job. This level of knowledge and safety is passed on through to our high access MEWP projects such as our cherry picker building maintenance projects. Likewise with our fall protection systems such as the installation and maintenance of horizontal lifeline systems otherwise known as mansafe systems. All of the Apex Access Group team are qualified to the highest level of industry standard. IRATA for all of our industrial abseilers, IPAF for our MEWP cherry picker and scissor lift operators. Our working at height technicians are mostly more qualified than the required standard by UK law for peace of mind as safety is paramount at Apex Access Group. Apex Access Group are located in the East Midlands, Derbyshire which lies between Manchester, Sheffield and Derby but we work nationwide. We also offer a free quoting service across the UK. High access cannot be avoided so Apex Access Group strive to work together with clients throughout their projects ensuring that the correct methods of access are selected whilst maintaining and exceptional level of safety. This bespoke service for each project is followed through with the selection of our handpicked team of industry experts allocated to specific jobs to suit their qualifications and experience. Every job that Apex Access Group completes includes a job specific risk assessment and method statement. We feel that communication is paramount, with these documents we will talk you through our exact method and specifics for every element of the high access project.